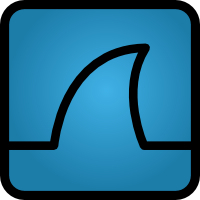 Wireshark 1.2.3 (stable), 1.0.10 (old stable), and 1.3.1 (development) have been released. Installers for Windows, Mac OS X 10.5.5 and above (Intel and PPC), and source code is now available. This release includes WinPcap 4.1.1, which has full support for Windows 7. Many other bugs have been fixed, including several memory leaks. For a complete list of changes, please refer to the 1.2.3 release notes. For a complete list of changes, please refer to the 1.0.10 release notes.